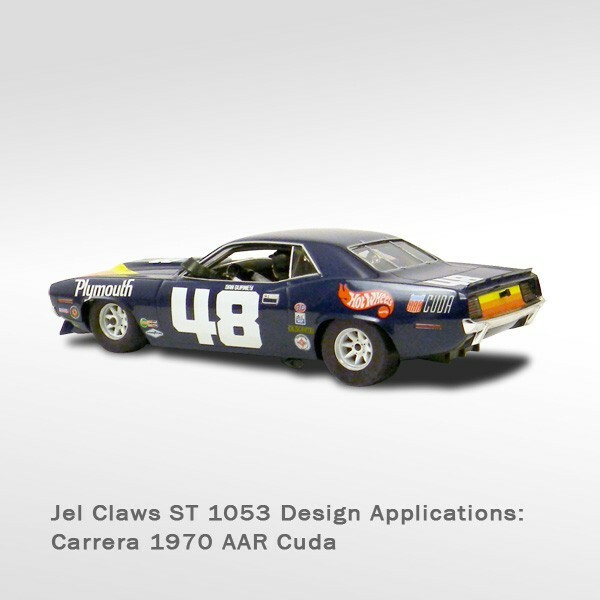 ST-1053 Jel Claws slot car tire (rears) for 1:32 scale SCX AAR Cuda and many other applications (refer to dimensions diagram for other cross references). 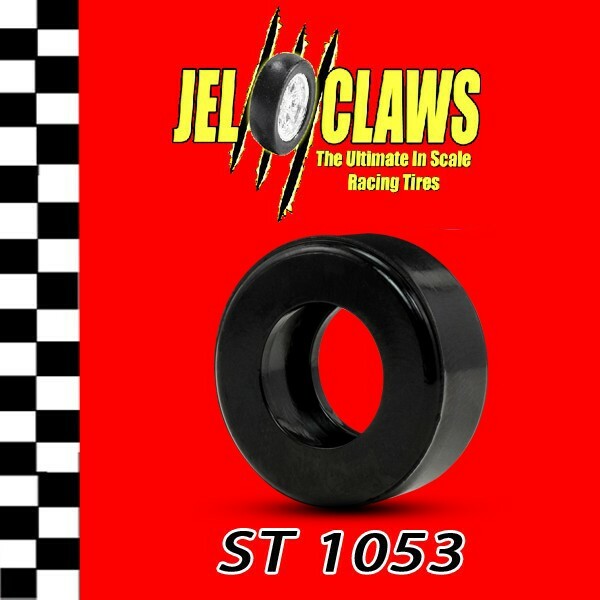 Jel Claws tires are made from the highest quality synthetic rubber - not cheap silicone, or urethane. Each Jel Claws tire is computer designed, with tooling CNC machined for extreme precision. Jel Claws tires grip the track like a magnet, absorb track vibration, and will reduce the racers's lap times.